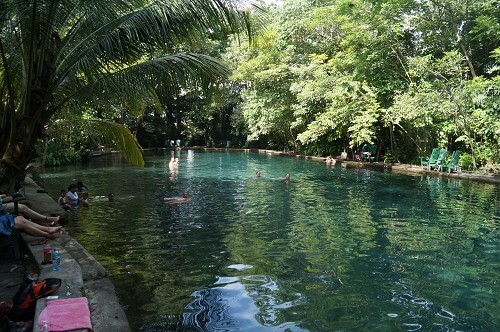 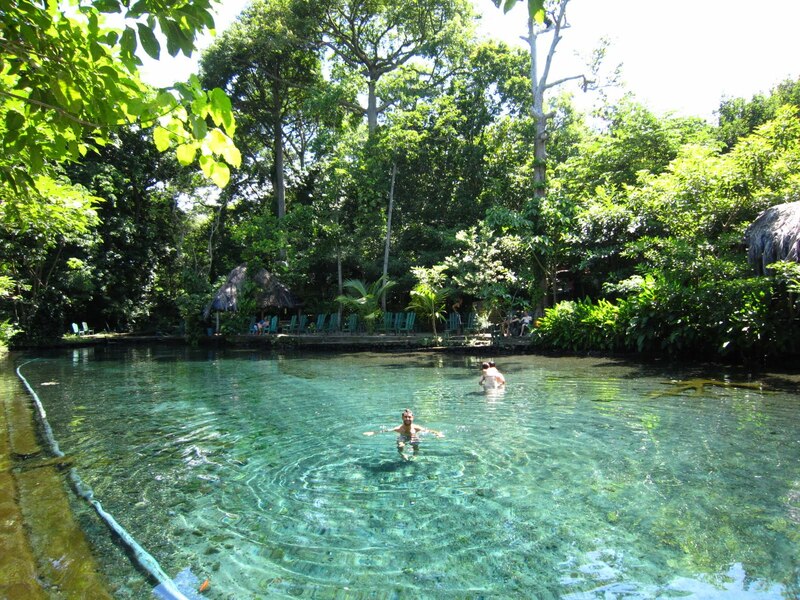 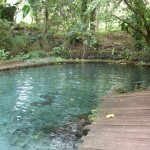 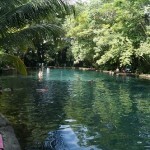 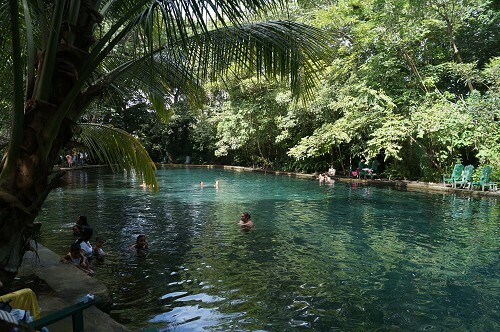 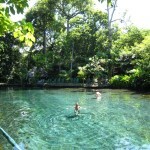 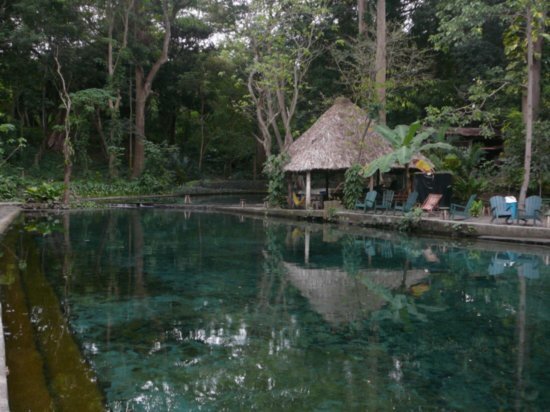 Ojo de Agua is one of the main tourist attractions in the Ometepe island. 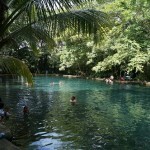 It is located about a mile from the Santo Domingo beach. 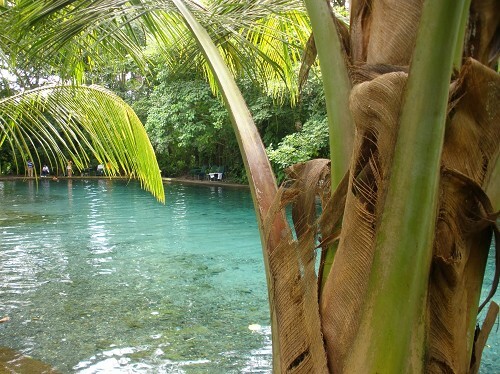 Ojo de Agua offers an escape from the tropical heat in peaceful ecological environment. 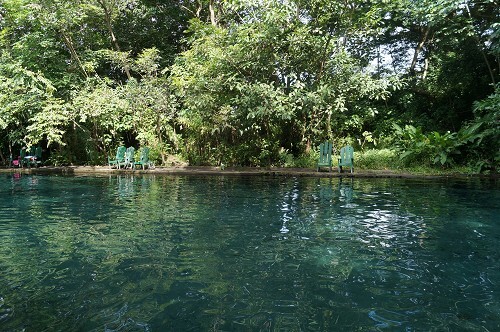 The two aqua tinted pools are fed with cold water from an underground well and stay cool under the shade of tropical Nicaraguan trees. 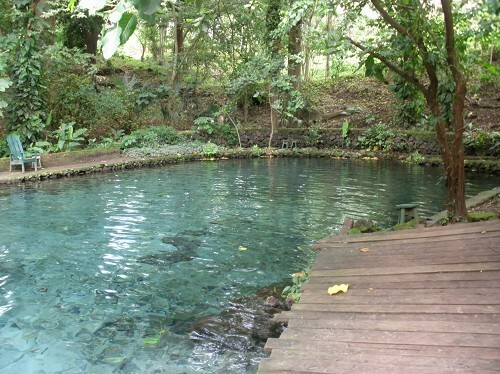 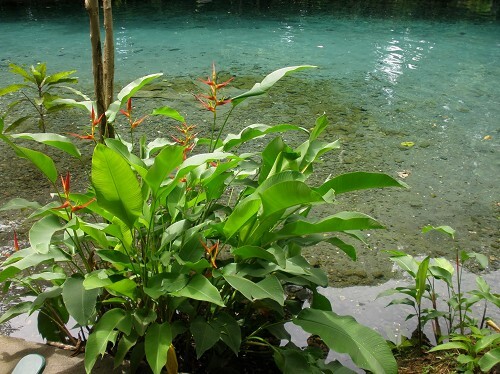 There you can swim and relax in clear and pure fresh water of volcanic origin. 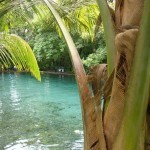 There are lots of places to sit in the sun or in the shade, and a few accurately placed hammocks. 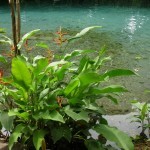 The water is said to have medicinal properties for the skin. 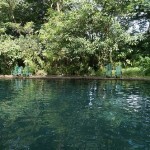 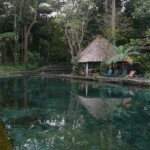 Share the post "Ojo de Agua, Ometepe Island, Nicaragua"